In a world beset by fake news, where facts are all too often subordinated to politics, smart policymaking requires independent institutions that can provide objective research and analysis, grounding political debate in science and reason, writes Justus Haucap. Justus Haucap is a professor of economics at Heinrich-Heine University. Sadly, many institutions that traditionally played this role have proven vulnerable to creeping politicisation, undermining their ability to serve as impartial arbiters. Against this discouraging backdrop one institution, the Organisation for Economic Co-operation and Development, has long stood out for its integrity and continued impartiality. For decades the OECD was synonymous with top-notch economic analysis and carefully considered policy recommendations, all grounded in the institution’s rigorous empirical culture. But now there are alarming signs that this bastion of factual discourse is bending before the ill wind of political bias; it urgently needs to right itself if it is to play a useful role defending free markets and progress. One of the most spectacular examples is the OECD’s failure to grasp the severity of the financial collapse of the last decade, including the resulting eurozone crisis. In a “post-mortem” the OECD’s economists admitted that its model had failed to anticipate the impact of heavy regulatory regimes and rigid labour markets on weak economies, especially in the periphery of the eurozone. In short, the OECD took statist assumptions at face value and missed the biggest downturn since the Great Depression as a result. More recently, in the lead-up to the Brexit referendum, the OECD unwisely waded into the debate with dire warnings of short-term economic chaos if Britain voted to leave the EU, which proved to be needlessly alarmist. True, the pound has dropped 10% but the plunge in consumer confidence, broad sell-off in markets, and a sharp decline in housing prices haven’t come to pass. Of course, the long-term effects remain to be seen but by “crying wolf” the OECD left itself open to charges of submitting to political pressure from the EU, damaging its credibility and making it that much harder to persuade both sides of the Brexit negotiations of the need for compromise. Some errors are so glaring they can only be attributed to unstated bias. For example, there’s the recent report, much cited in the press, which bizarrely claims that the United States and Japan have a higher poverty rate than Greece, Portugal and Hungary, based on dubious measures of inequality. Or the OECD’s overview of fragile states, which placed Spain and Italy on the same level as Venezuela and Syria in terms of economic fragility, and lumped Mexico in with Libya and Iraq for political fragility. These misleading judgments, with their ability to shape perception and policy, are bad enough. Even more dangerous, however, are some of the OECD’s explicit policy recommendations, such as rolling back patent protections for pharmaceutical innovation, which may impact global healthcare for generations to come by undermining research and development for new remedies. The OECD, usually a reliable advocate of open markets and property rights, appears poised to make a surprising about-face with its forthcoming report on pharmaceuticals, unquestioningly accepting the proposals of anti-market, anti-globalisation activists. 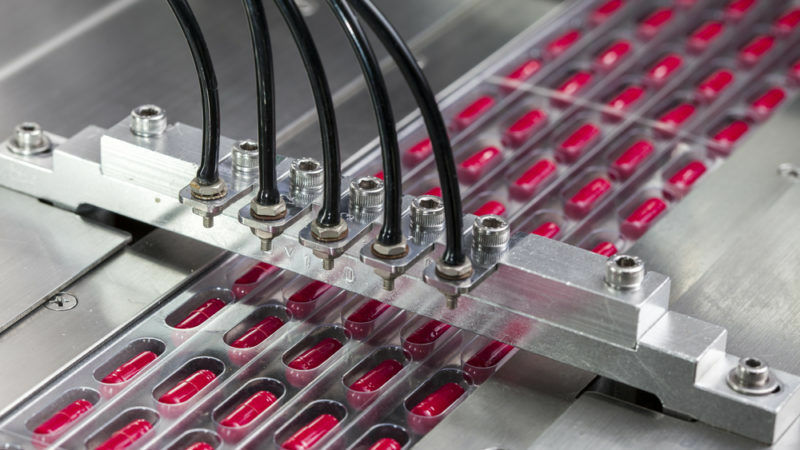 Among other recommendations, the report, due out in December, will likely include support for “compulsory licensing”, a process by which national governments can strip a drug’s inventors of their patent protections, allowing production of cheap knockoffs – supposedly to make drugs more affordable, but often in reality as a handout to local generic drug manufacturers. Patent protections are already under political attack by anti-market players in other global forums, most notably the UN High-Level Panel on Access to Medicines, where compulsory licensing is portrayed as a “last resort” for low-income countries. But the arguments before the OECD ring just as hollow as those heard at the UN. In fact, drug availability in the developing world has little to do with patent protections and much more to do with dysfunctional national healthcare systems, where red tape and fragmented regional markets allow generic drug makers to charge inflated prices for the most commonly used drugs – nearly all of which are now off patent. Thus a recent report from WHO found that the prices of generic drugs dispensed by public health systems in low-income countries are 2.9 times higher than international reference prices (and up to 4.6 times higher in private facilities). This calls for reforms to streamline procurement and introduce greater transparency by slashing bureaucracy and eliminating regional barriers to drug markets. Patent protections have nothing to do with it. Turning to drugs still under patent protection, the OECD ignores the role of competition in the drug marketplace, which has proven a powerful force for bringing down drug prices fast – even for new remedies. For example, while media coverage focused on the high cost of a pioneering Hepatitis C treatment in 2014, since then the entry of multiple competing drugs into the marketplace has cut prices in half. Anti-market activists also focus on the list prices for drugs, ignoring the fact that real prices are usually much lower due to rebates negotiated by pharmacy benefits managers and aggregate purchasing deals. To cite another example, the OECD points to increases in the list prices for insulin in the United States – but net prices for insulin there have actually declined in recent years. The issue of drug affordability is undoubtedly a critical one, but the answer is not to attack the established global system of intellectual property rights, jeopardising the development of future cures while doing nothing to increase the availability of the most urgently needed drugs. On this issue as with others, the OECD needs to eschew politics and take a clear-eyed look at the facts – in other words, to return to its roots. Perhaps the good professor would be willing to take a few pills of his own medicine? To write a clearly political rant like this just because the OECD does not follow your ideology does not really present a clear-eyed view either, does it? And the OECD may well be right that not just Germany, but also “statist” France and Italy and even Japan are growing faster than the UK now. I’m sure that the Bank of England is alarmed about a few developments. Inflation nearing 4% made them promise a definite maybe rate increase in November that may well create a wave of bankruptcies because the private debt level is quite high. Oh, I’m sure you’ll call me “alarmist”, but the facts are not on your side.